Spectacular 5 bedroom and 4.1 bath home located in desirable Estates Of Hidden Lake subdivision. Open kitchen features 42" cherry cabinets with crown moldings, granite counter tops, butler's pantry, sunny breakfast room and stainless steel appliances. Formal dining room & living room back to a pond. Open family room with easy start switch controlled gas fireplace. Study/office located on the first floor. A deluxe master suite as well as a princess suite are situated on the second floor. The other two bedrooms share Jack and Jill bathroom. New floors on the 2nd floor. Basement boasts a wet-bar, full bathroom, sauna, sitting room, exercise room, bedroom, cigar room, recreation area and plenty of storage. Outdoor patio and fully fenced backyard. New 75 gal Bradford White water heater. 3 Furnaces. 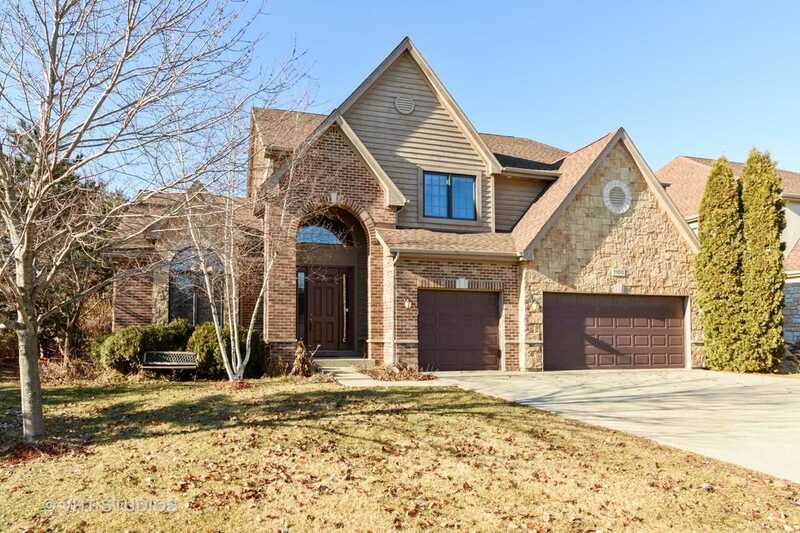 Nothing to do but move into this beautiful home that provides the amenities of a prime Buffalo Grove location, award winning Stevenson High School, and the tranquility of the surrounding nature. I was searching for a Property and found this listing (MLS #10299159). I would like to schedule a showing for 1100 Old Barn Rd Buffalo Grove, IL 60089. Thank you! I was searching for a Property and found this listing (MLS #10299159). Please send me more information regarding 1100 Old Barn Rd Buffalo Grove, IL 60089. Thank you!